An easy-to-operate, no nonsense counting scale that weighs extremely light parts and reduces the time required to count. The PC-905, using vibrating beam technology provides the highest level of counting accuracy, at an affordable price. 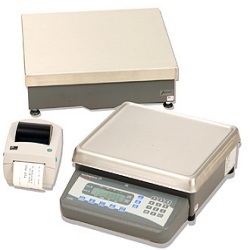 Manufacturers and suppliers of small components for computers, communications equipment, electronics and other products know the importance of accurate counting and weighing. Counting parts that are so small and light that they can barely be seen is a daunting and time-consuming process that is prone to error. Now even small-component manufacturers and suppliers have a counting scale alternative that ensures accuracy and reduces time required to count parts. The Avery Weigh-Tronix PC-905 digital counting scales have the ability to weigh parts as light as 0.00001 lbs. in less time with accuracy up to 99%. Which Parts Counting Scale is Right for Your Company? A counting scale that is difficult to operate or requires multiple keys strokes leads to confusion and inaccuracy. The reason you purchase a counting scale in the first place. Avery Weigh-Tronix counting scales are simple, flexible and easily operated with one keystroke. 2. What is the risk of operator error? Increasing the number of parts hand-counted during the sampling process increases the risk of human error. The PC-902 will not allow counting to continue until there is an adequate sample size (0.02% of scale capacity) to get to the accuracy rate you select. 3. How accurate is the scale? Counting scales with different internal resolutions have different levels of accuracy. Its like measuring the diameter of a steel bar in 1/4 inch increments, 1/8 inch increments or a micrometer. Avery Weigh-Tronix counting scales use T750 Vibrating Beam Load Cell technology to achieve superior count performance and unequaled internal resolution and accuracy. These counting scales are very rugged and able to stand up to tough industrial environments. The scale’s design protects them against overloading and shock loading, creating hard wearing yet extremely accurate instruments. Feature an easy to read backlit LCD display, for use in low light conditions. The PC905 has a full numeric keypad for more sophisticated data entry, while also being easy to use. The PC-905 can also link to a remote base, allowing the scale to be used to weigh both small and large items. The scales are also legal for trade, making them appropriate for commercial applications where product is sold by weight. Available in a range of capacities, from 10 lb to 100 lb (5kg to 50kg). Companies need counting scales for inventory and quality control. Achieving inventory control requires a delicate balance. Too much inventory is money sitting on the shelf that could be put in the bank. Too little inventory means manufacturing down time and missed shipments. An accurate parts inventory leads to greater efficiency at a lower cost — essential for every industry. Maintaining quality control is also critical. Companies want to give their customers exactly what they paid for. 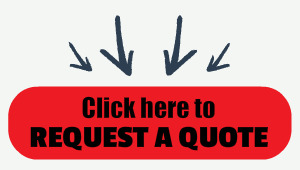 Time and again, shipping less than ordered leads to dissatisfaction and lost customers. Accuracy translates to freeing up of capital and satisfied customers. An easy-to-operate, no nonsense counting scale that weighs extremely light parts and reduces the time required to count. The PC-905 available from Central Carolina Scale using vibrating beam technology provides the highest level of counting accuracy, at an affordable price. The PC-905 is supplied with a full numeric keypad and optional connection to a remote base or floor scale. Operator Friendly 6 button Keypad: Simple one-keystroke operation ensures correct use. Three yellow keys draw the operator to the most used keys: ZERO, TARE, and SAMPLE. The SAMPLE key automatically zeroes the scale, prior to the weight being applied. Full numeric keypad allows the operator to enter and recall known piece and tare weights. Remote Base Interface: Interface PC-905 to a single remote floor scale, analog base, or Avery Weigh-Tronix QDT base. Remote base capacities available from 50 lbs - 200,000 lbs. Wallmount Display Bracket: Existing display assembly can be removed from base and mounted onto wall with use of display cable extension from 5’ to 10’.